What's that sound in the woods? Two different kinds of animals are making that sound. Down on the ground: coyotes, running away. 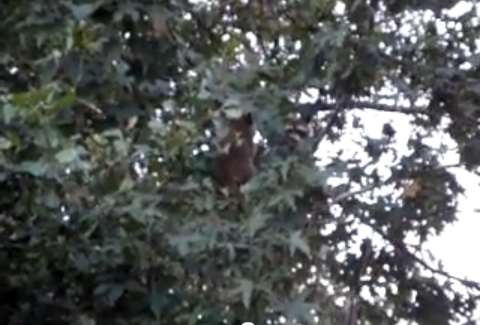 Up in a tree: two very angry raccoons!